How much does an African Grey Cost? You can find an African Grey parrot priced at around $1500 on the lower end and $3500 on the higher end. This price varies only slightly depending upon which subspecies of the bird that you buy. This will either be a Timneh African Grey or a Congo African Grey, with Congo Grey being the most common option. What factors affect the price of an African Grey? How beautiful an African Grey looks will affect the price of the bird significantly. African Greys that look healthy and do not have any blemishes or strange marks and features will be more desirable. However, unusual but pleasant looking attributes such as a unique pink or reddish African Grey color is very rare and will dramatically increase the price of your pet bird. 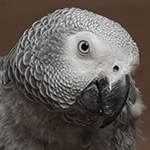 Is age a factor in the price of an African Grey? You need to think about the age of your African Grey when making your purchase. A baby African Grey that is featherless and is still being hand fed will be less expensive but also requires a lot more initial care. This price increases after the African Grey has been weaned and can now consume adult food. Once an African Grey grows out of it’s baby stage, it becomes stronger and better suited to live in a new environment, but this also makes it more expensive. After a certain age, the older an African Grey becomes, the cheaper it will be in price. There are many old African Greys from rescue shelters that can be adopted (sometimes for free) if you are willing to take on an older bird. There is not too much of a difference between the cost of a male or a female African Grey and you can determine the differences between the sexes by looking for red tail feathers in males and silver tail feathers in females. Prices of an African Grey will vary depending upon where you buy the bird from. If you live in Western Africa (where the bird is native to) you can find the cheapest prices. 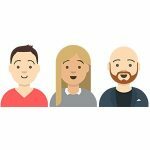 Within America, the costs are considerably higher and even within different states and areas of the country the price will change. Also, different countries and states within countries will have different rules and regulations which need to be followed. 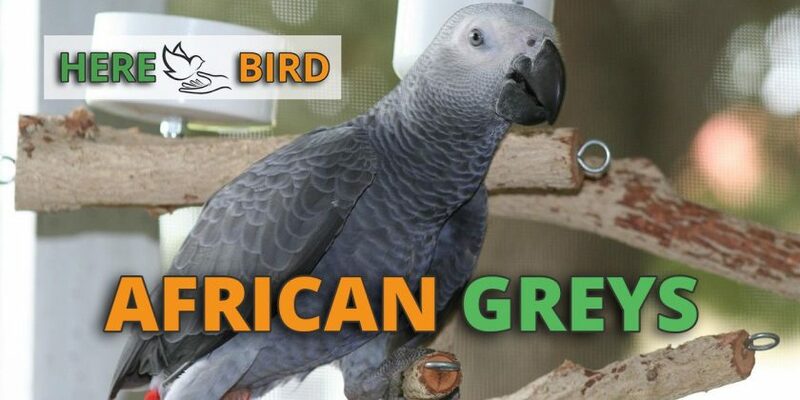 African Greys have now be banned from international trade and so within the United States you should only purchase these birds from licensed breeders. You should also consider how you are going to pick up the bird if it is on the other side of the country. African greys can be shipped via airlines and this cost will need to be factored in. This will require a proper travel cage for airline travel or if they’re being picked up via car. For this you’ll also want to consider the car fuel costs as well. Different times of the year may also affect the price and this is normally related to the breeding season of the bird. After a breeder has hatched a large brood of birds, the breeder may want to sell a lot of them and so their rates will be lower. Other time periods, such as before Christmas, may cause the prices to increase. What about registration, laws and licensing? Trading African Greys internationally is illegal and you should also not buy a bird that is caught in the wild. You should only buy an African Grey from a bird breeder with a good reputation. When choosing a breeder, check that they are a member of a reputable parrot association or organization. It is also worth Google searching the name of the seller to see what reviews turn up about the business. Each country and state has its own set of rules and regulations which you need to follow with regards to African Greys because they are an endangered species. The seller won’t allow you to see the bird before purchase. The price of the African grey is outside of the normal range and is extra high or extra low (without good reason). A lower priced grey parrot could mean the parrot comes from a bird mill or has been captured from the wild is is an illegal trade. Extra high prices might indicate some sort of scam so ensure there are DNA test results is some sort of genetic claim is being made. Buying the African Grey is only the first of many costs you need to consider over the lifespan of your bird. Every African Grey needs a bird cage which is correctly sized and these typically cost $300 to $500 for an African Grey, although this price can dramatically increase as you increase the size of your cage. You’ll also want to outlay the cage with several toys, perches and objects to keep your Grey’s entertained – which could cost an extra $50 to $100. An additional travel cage should be bought so that you can pick up your bird from the breeder and so you can use it as a back up cage in case you need to take the bird to the vet – these typically start at around $200 for an African grey. The avian vet bills are another cost to consider and a yearly check up could of the bird is recommended. To cover this you may want to consider getting bird insurance from an exotic pet insurance provider. Food supplies are a weekly cost that should be factored in and should not be skimped on, otherwise it will affect the long term health of your bird. Finally there is the cost of cleaning supplies for keeping your bird cage clean, which is a minimal charge that also needs to be factored in. Some of these costs may be covered by breeders when you buy your animal so check the small print of each breeder individually. If you disregard the money, there are many other intangible costs to owning an African Grey. Because an African Grey is so smart it needs several hours of care and interaction each day. The parrot needs lots of time outside of its cage so it can exercise. The cage size should also be quite large and you need to think about the amount of space that an African Grey bird cage will take up in your home – apartments may be too small. Energy also needs to be spent cleaning the cage everyday and feeding/providing water to the bird. 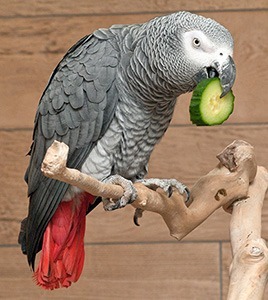 African Greys are also very talkative and can be noisy and loud. You’ll need to spend time training and teaching your parrot to prevent bad behavior. This training can be more difficult if the parrot is older, whereas a younger bird might learn faster but will need more attention. Additionally, the bird should be socialized with multiple members of your family so it doesn’t overbond with you. African Grey’s make great pets because they are intelligent and energetic creatures. However, this will cost you a lot financially and but also in terms of time, energy and attention. If you can afford both the financial and non-financial costs then an African Grey might be the right choice for you but remember that they are a major commitment that should not be taken lightly. How Much Does A Parrot Cost?